On a heavy rain night, I come across from border to have my dinner here. Although that night traffic was terrifying congested and it was quite late in night already, but restaurant/cafe here were still operating. Feel glad that I am still in time for my dinner, or more appropriately supper? 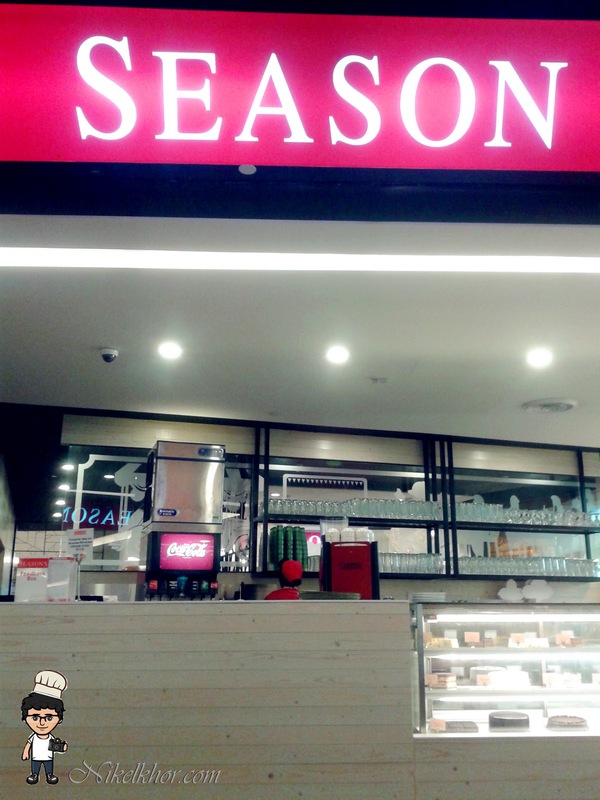 One of a famous brand in Johor Bahru--Season is the cafe I visited on that night. Interesting to find out that most of the cafe, for example SDS and Lavendar, started gain their reputation with bakery, and expanded into cafe and increase the variety of foods. Initially I was here for the buy 1 free 1 promotion, but too bad, the promotion just ended and replace with pasta promotion. Think on the bright side, I am not restricted to the buy 1 free 1 menu already lar, can order whatever I like and desire. So we act like very big eater and order 3 main dishes for two of us! This teriyaki chicken burger is highly recommended. I think you couldn't agree more with me that it has a very patriotic presentation, little Malaysia flag is planted on burger despite it was not national day. The juicy grilled chicken in between layers of bun looks so tempting. Debone chicken thigh is used, that is why the texture of the meat is so good, marinated well with teriyaki sauce, make it extremely flavourful. I like their fries too, not the kind of thin and dry, but plump and generous cutting makes it better biting texture. 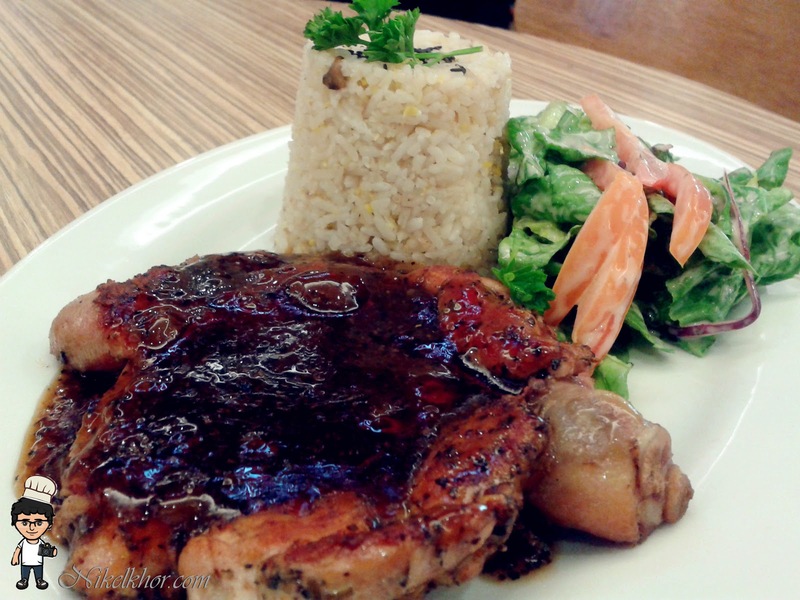 Black pepper grilled chicken chop is quite common, but the interesting presentation renders it appetizing. The rice is shaped into cylinder, and pair up with green salad, is a nutritious-wise combination.I am glad that they actually put in effort to make dishes outstanding, the rice is not normal white rice, but is stir-fried with egg, so it is more fragrant and even goes well with the black pepper sauce. To make sure that I am in line with their pasta promotion, we ordered a cheesy seafood pasta. 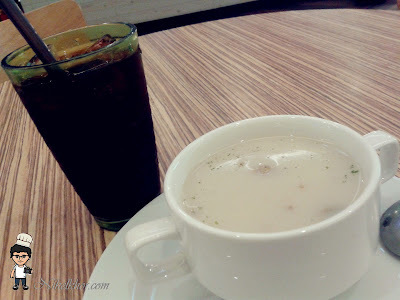 The regular price is RM 16.90, now I can enjoy the luxury by spending RM 13.90 only. 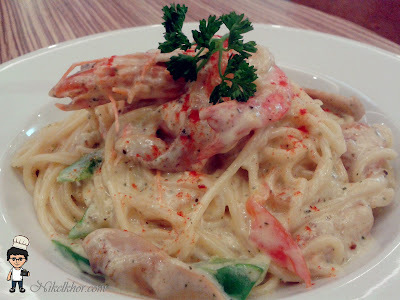 Two big prawn on top definitely attracts my attention, more sea treasure hidden in the pasta are awaiting to be discovered. Very worthy and filling! 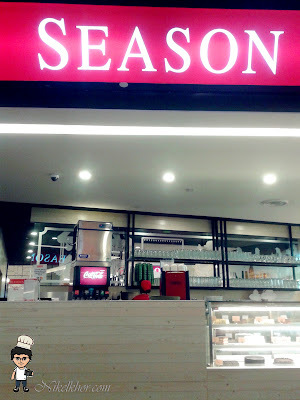 All in all, I quite like their foods because they really put their thought on the taste and presentation of the dishes, at the same time, at good and reasonable price. Next round, I will probably try the Swensen ice cream, the creative ice cream in the menu quite seducing too. @henry Teriyaki Chicken burger my all time favourite..
Was looking high and low for the number. Thks to u, I found it and can proceed with reservation. A favourite place for my family ti feast on their spring chicken! CONNECTING YOU WITH YOUR FATHER!